Number of female CIOs dropping fast: survey | Life is short,have fun!!! “The number of women in senior positions at tech companies is down for the second year in a row, according to a recent survey. The US arm of the British-based Harvey Nash Group and the data center provider TelecityGroup found that 9 per cent of current US chief information officers (CIOs) are female. Last year, that figure was 11 per cent. In 2010, it was 12 percent. According to a report from Reuters, 30 per cent of those polled stated there was no female representation in the management section of their IT organisation. However, only half of the respondents considered women to be underrepresented in the IT department. The respondents included 450 American technology leaders. Meanwhile, a White House report on the state of women’s employment in the US, released in April, found that women comprise only 25 per cent of all STEM-related (science, technology, engineering and math) careers. 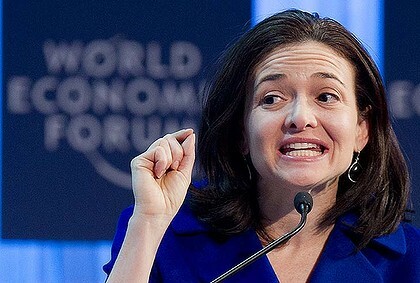 That’s not to say that women haven’t reached senior levels at several top tech companies – Sheryl Sandberg, chief operating officer of Facebook, is a notable example. Yet Facebook still has no women on its executive board. See also: Women’s Rights Advocates Demand Facebook Appoint Women to BoardWhat’s to account for the dearth of women in technology? The White House report attributed this representation to two factors: Women are studying STEM fields in college at a lower rate than men, and many women who earn STEM degrees don’t necessarily pursue STEM-related careers. Moreover, the fact that women are currently absent from the top positions at IT departments makes it harder to attract women to these roles – thereby perpetuating the lack of female representation. Women are also still plagued by the “preconceived notion” that they are focused on other priorities, such as starting a family, according to the Reuters report. In addition, as Mashable previously reported, female advancement in any career has much to do with self-advocacy – and women tend to not to take on the “negotiating mindset” to ask for promotion opportunities, better pay rates or flexible scheduling the way their male counterparts might. Recent studies, however, have found that employing women in the upper echelons of companies pays off for both women and their companies. In the tech field, women-owned, venture-backed companies have 12 per cent higher revenues. In addition, companies whose top positions are equally filled by men and women garnered 30 per cent better results from IPOs. So where might women be able to break into these companies? In the Harvey Nash survey, the majority of respondents said their organisation is facing a skills shortage in business analysis and project management. According to Frazzetto, this is causing a paradigm shift in smaller companies, and larger companies may very well follow suit. “The skills shortage is the biggest it’s ever been, and it’s going to cause companies to get a little more creative in shifting the culture of organisations,” said Frazetto. What do you think women can do to promote themselves in this organisational “culture shift?” Do you have any other advice for women trying to break into technology? Let us know in the comments.